The art for sale below is by the Australian artist Margaret Olley. Margaret Olley was born in 1923 and died in 2011. She was a much loved figure of the Australian art scene for many years. 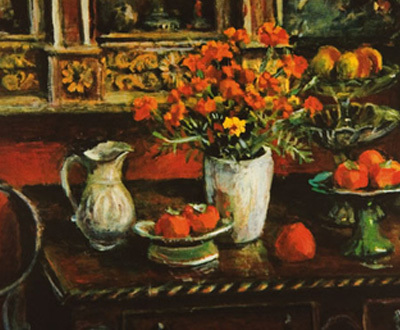 Along with Margaret Preston, Margaret Olley was arguably Australia’s greatest still life painter.